Aviator MINI is the ideal controller for most types of commercial AC or EC fans. Its large capacity allows it to manage ventilation systems for high ceiling installations and general ventilation applications. 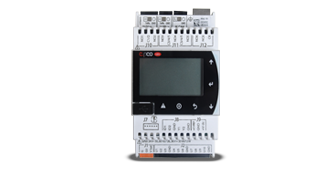 It’s easy and simple to use, and can be set in Demand Control or manual operation modes. The compact Aviator MINI has the ability to manage up to 50 fans individually or within a maximum of 6 demand control zones. 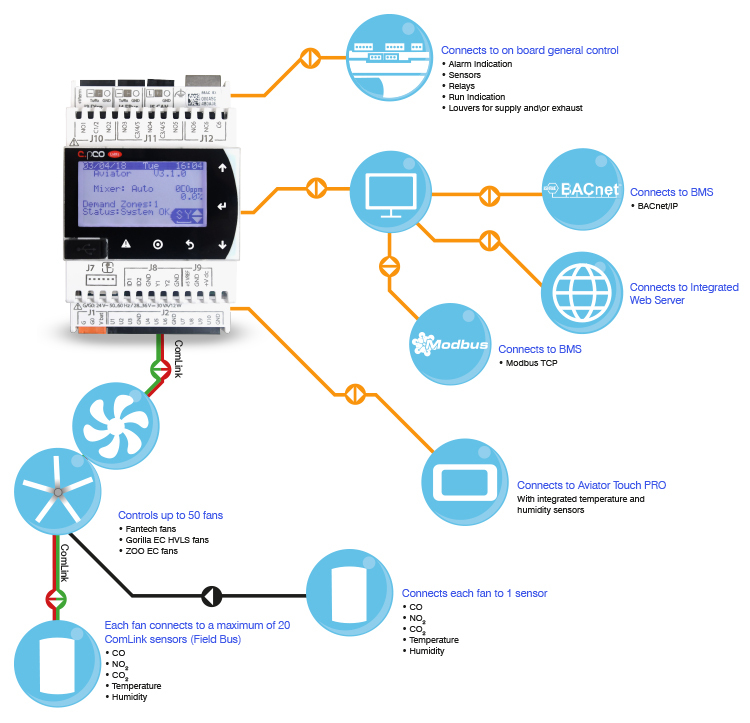 It’s a flexible system that comes factory preconfigured to suit the requirements of each specific application. It utilises reliable Ethernet networking for remote diagnostics and can be connected to a Building Management System.